Panoramic image of the Opera House in Sydney, NSW, Australia on a stormy morning from Overseas Passengers Terminal. 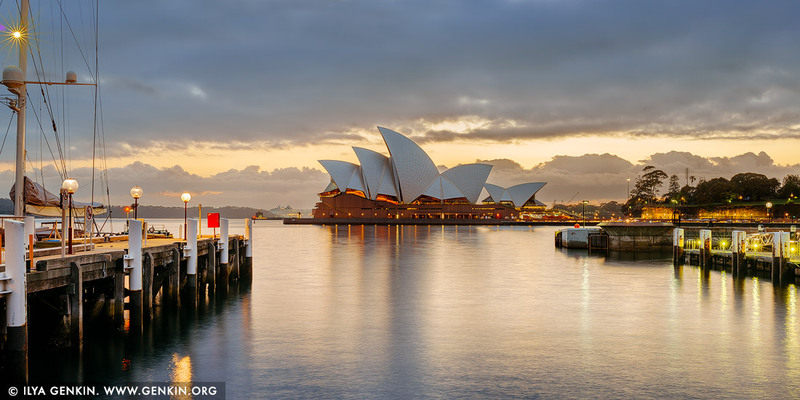 This image id AU-SYDNEY-OPERA-HOUSE-0046 of Sydney Opera House at Sunrise, is copyrighted © by Ilya Genkin. This is not a public domain image.